There is stucco that comes in a bag and there is stucco that comes in a bucket. The stucco that comes in a bucket is more commonly known as synthetic stucco. Bagged stucco comes with a color already tinted in it so all you do is add water and mix. While it may seem to be good practice to use a measured amount of water for bagged stucco, it is not often seen in the field. Water is added until stucco becomes workable. Too much or not enough water can cause the color to become lighter or darker. 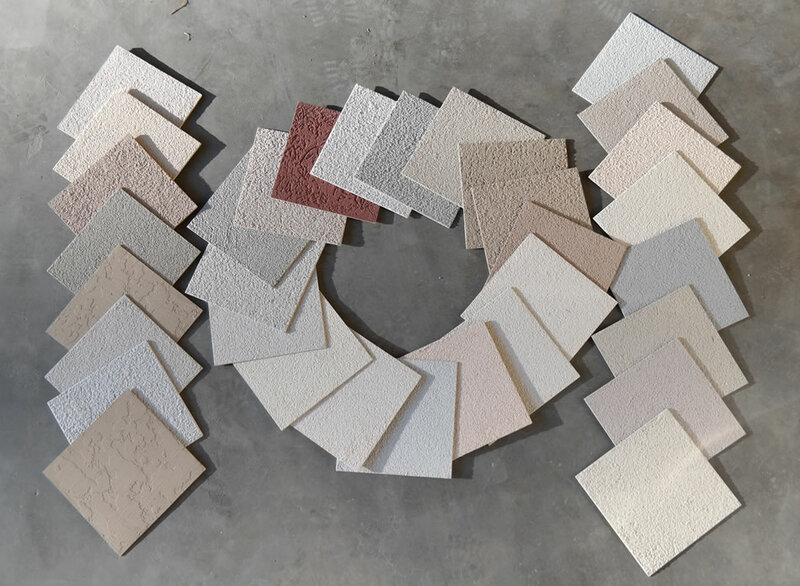 Color selection of bagged stucco is very limited compared to synthetic stucco. Synthetic stucco comes pre-blended in a base white color. Most of the time you are given a color cup with the tint in it. The tint cup contains a measured amount of formula to achieve a specific color. This tint cup gets poured in the bucket and gets mixed until the color is uniform. Sometimes that manufacturer will mix the tint in the bucket for you in order to ensure consistency with their color for all their clients. Similar to paint, almost any color can be achieved with synthetic stucco. Manufacturers can transfer the formulas of paint colors to stucco colors. A lot of the Sherwin Williams and Benjamin Moore colors are already transferred by the stucco manufacturers. Stucco color is mostly used in earth tone colors. Brighter or darker colors are more commonly used on commercial projects. These brighter and darker colors are a lot harder to tint and usually come with an expensive additional tint charge.